A refreshingly simple book that celebrates growing up Up UP! 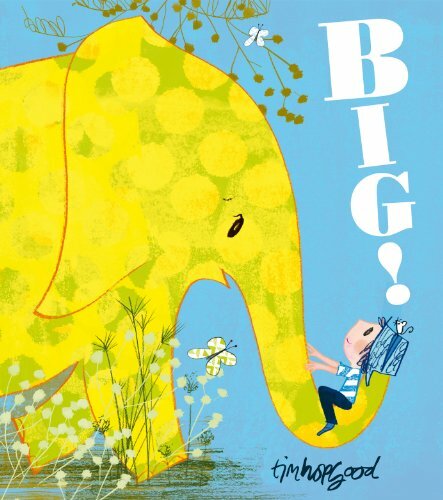 Tim Hopgood's stylish illustrations bring this endearing little boy to life as he contrasts himself with an ant, a bear and an elephant... The boy grows throughout the story, and by the end he's bigger than his best friend. This book confronts a preoccupation of every child, and every child will recognise and empathise with this little boy's wish to be BIG!